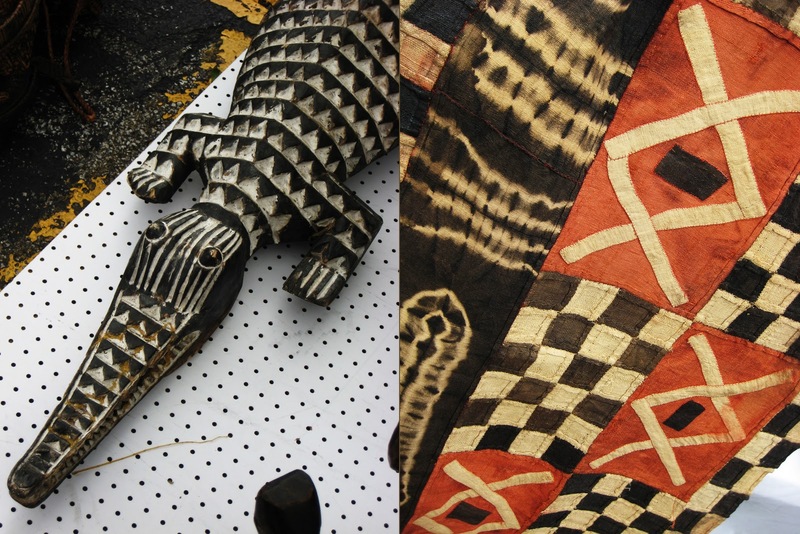 Yesterday Nina and I went to the Randolph Street Antiques Market, it was the last one of the year. These rolling pins made me think about Kelli Perkins. When I was little I remember there was one of these Magic Brain Calculators at my grandmothers house. I thought it was so cool, using that little metal pic to pull down the numbers in the rows, I don't think I ever understood how to really work it though, lol. This is a Time O Graph, do you think they had time travel back when this machine was made? I loved the story lines and illustrations on these Coronet magazines. With fall upon us and the recent cooler temps outside, furs were everywhere. Doesn't everyone need a possum in a box? By the way, for you Australians and New Zealanders, this is an American Possum, no where near as cute and furry as the ones you have and this one is better looking than most. The antique market is half outside and half inside the old plumbers union building. Isn't this a great mural left over from the WPA. It is on a curved wall in the stairway. And this is one thing I found that I couldn't live without especially because I got a great deal on it. I love old medical illustrations, this chart is from 1918 and pulls down like a map. I have hung it on the wall above the entrance to the kitchen. 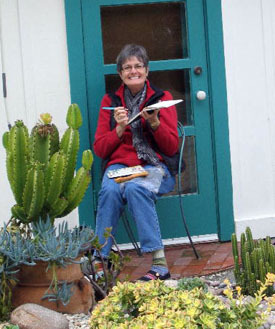 The Style Substance Soul blog has a wonderful interview with Jane LaFazio today discussing her journey as an artist and work teaching childern and adults. Don't you love it when you feel like you have accomplished a bunch of stuff on your todo list? I had a really productive day yesterday, I feel like my batteries have been recharged. I am preparing to teach Tsukineko Inks and Color Theory in Houston at International Quilt Festival in November and I have sooooo much to do. I don't think students realize all the hours that go into preparing to teach classes, the actual teaching is the easy part. I am happy to say my tsukineko Inks class is full, yay! Yesterday, I tore enough white fabric and dyed a rainbow of light colored fabric for a class of 30 (25 is full) to use in the inks class, ordered over a thousand dollars worth of ink for kits, printed and stapled handouts and another 150 pages of images for students to work from. I have been running my color theory class online for a couple years, but have not taught it to an actual classroom full of people, so I have been adapting a lot of the materials to be used in class over the last several days and last night printed 400 pages of handouts and charts. Today my goal is to collate them and put them in individual packets and refill paint bottles. When I began teaching I started transfering paint to these boston round bottles with screw tops, it saves so much wasted paint and is also much easier to use in class with lots of students. These are great bottles since they are squeezable and the screw tops make a good air tight seal. Now I love having my paint in them for my own use too. You can order some for yourself here. I have been so busy the last couple months: teaching in Long Beach, preparing for QATV, teaching at Create, filling out proposals and contracts, that I have had no time to just make art for the love of it. I definately want to collage and paint more canvas like this, hopefully I will get to paint more before too much time passes. One of the things I like about living in my neighborhood is finding bits of interesting street art when I am out walking my dog. This is one of the newer pieces of street art by Banksy a well known, street artist from the UK. and I adore Kelli Perkins' rolling pin recipe books!!! I know I have mentioned that before, but they are so cool and there are couple different artsy pin cushions that look really fun to make, oh I could go on and on. What a surprise it was when I was flipping through the magazine the first time, to see a picture of me and my friend Jane LaFazio in Melly Testa's article for making these cute little printed fabric photo frames! Another fun project to do, especially since I already have some foam stamps that I made a few months ago, inspired by Melly. 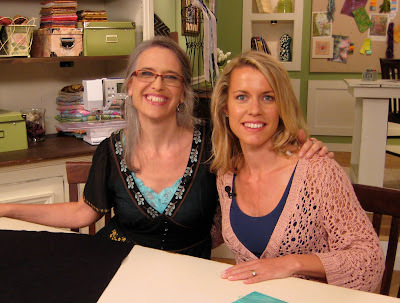 On Thursday, I taped several segments for season 700 of Quilting Arts TV and a new DVD. My first topic for QATV was working with Shiva paintsticks and freezer paper templates. The next segment was on using tea bags for collage on fabric, like we did in my tea and ephemera class. Getting hooked up with a mike before the next segment begins. This season Pokey has included a new segment in the show called Save My UFO, where guests give suggestions on quilts in progress that viewers have requested help with. Pokey reads through a letter from the quilt maker about what they would like to accomplish with their piece and where they need help. Helen snaps a photo before the taping begins. Pippa and Helen working away in the green room. Jeannie Delpit, from Bernina, is so helpful with the machines on set. Malka Dubrawsky and I met each other at the airport in Cleveland and drove out to the studios together on wednesday and met Kerr Grabowski who was taping a DVD in the morning. Here's a pic of Malka on the monitor in the green room while taping one of her segments. The last few weeks (months) have been so busy with teaching and preparing for all of this, I am glad I don't need to go anywhere for the next month or so, I am tired!